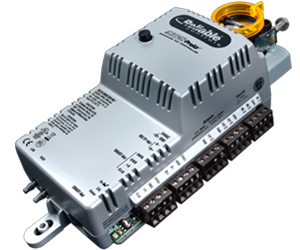 The MACH-ProAir™ (MPA) advanced VAV controller continues the tradition of Reliable Controls MACH-System intrinsic simplicity, flexibility, and cost-effectiveness. The inherent nature of the flexible models, dynamic database and easy, custom programmability make the MACH-ProAir™ an obvious choice for today’s energy conscious VAV applications. To further support the worldwide network of Reliable Controls Authorized Dealers as they embrace these conscientious changes to traditional methods, the MACH-ProAir™ will be released complete with a library of standard applications that implement the energy conservation requirements and sequences of operation of ANSI/ASHRAE/IES Standard 90.1- 2012 and 2012 IECC.